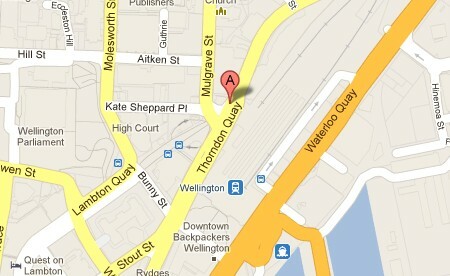 Address: Level 3, 1 Thorndon Quay, Thorndon. We are just north of the bus station, on the corner with Mulgrave St, past the big pohutukawa trees. In this building you might also know East Day Spa (level 2). We are on level 3. Click on the map below to view the full Google map, and also the street-view photo.